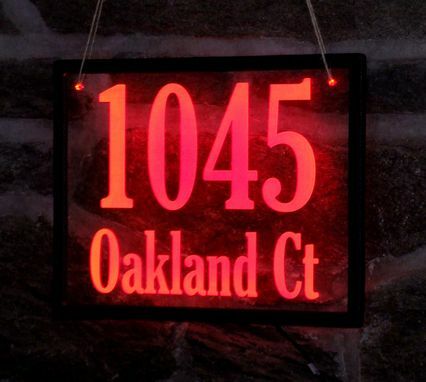 Acrylic LED lit signs. 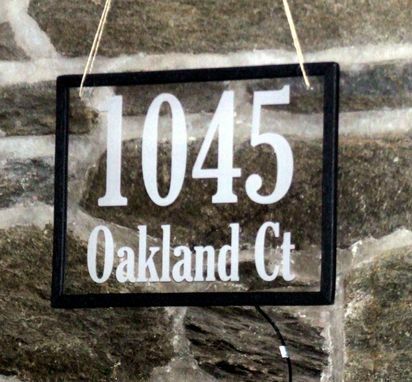 The one shown here is a 12 x 16 inch LED Lit house number sign in acrylic. 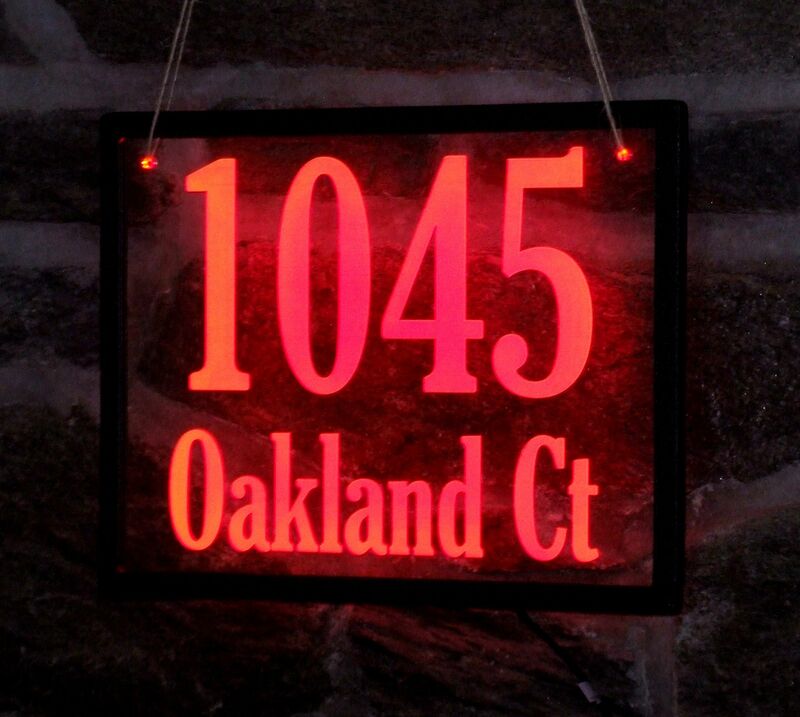 Our LED lite signs are custom made to size, shape, and LED color of your choice. The signs are laser engraved from the back so that the front stays smooth. The perimeter and LEDs are housed in a flexible marine grade framing, black or white. Powered by transformer or battery. Can we design one for you.